Atlanta, GA, January 18: Dr Narendra Nagareddy, a Jonesboro, GA based psychiatrist has been arrested after 36 of his patients allegedly died, with at least 12 allegedly killed by overdose on prescription medication, reports WSB-TV Channel 2. Dr Nagareddy and his family are well known in the Indian-American community circles of south Atlanta. His wife is a family practitioner. Dr Nagareddy was held at his office last week following a raid by nearly 40 federal and local agents. They also seized more assets at the psychiatrist’s house. 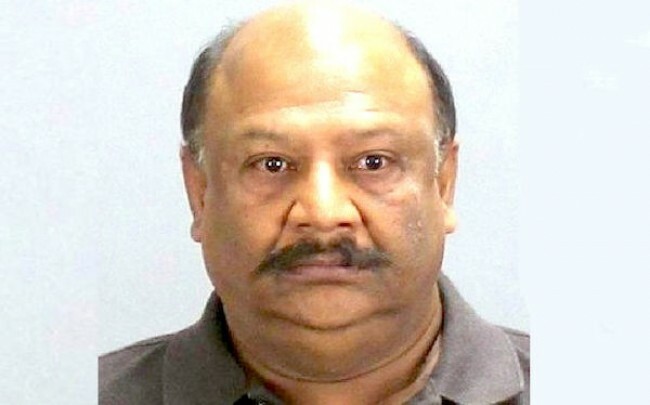 Dr. Nagareddy is accused of violating Georgia’s Controlled Substance Act. He has been practicing for more than 15 years and has had no ethical complaints filed against him, reports People.com. According to documents filed in court, it has already been established that 36 patients died while they were being treated by Nagareddy. Many patients of the psychiatrist also confessed that they obtained prescriptions of certain substances from him without having a real medical need. Audrey Austin, a wife and mother of two little boys, is one of 36 of Dr. Narendra Nagareddy’s patients who died from an overdose. According to Channel 2, it was her death that led to the doctor’s arrest.Austin’s mother Ruth Carr told Channel 2 that her daughter had just gotten out of rehab before she died. “It doesn’t get better with time and think that’s been long overdue with Dr. Nagareddy. And I knew that he was doing this with people other than my daughter, I knew that she wasn’t the only one,” Carr told Channel 2. Carr said in mid-February 2014, Austin left a hospital after depression and anxiety treatment. Documents suggest Feb. 20 she went to an office visit with Nagareddy. Feb. 21, she overdosed. Austin’s cause of death was determined to be the “acute combined toxicity” of two of the types of medications Nagareddy had prescribed the day before her overdose. Police Chief Mike Register said Dr Nagareddy’s side of the story is he’s innocent and looks forward to defending himself in court. Dr Nagareddy’s attorney Steven Frey said he didn’t believe his client was responsible for the deaths. “I have had several calls from the medical community showing their full support for him, so I expect that they will continue to do so and we will vigorously defend him,” he said. Ram Gangaraju, whose autistic son was being treated by Dr Nagareddy, had good words for the psychiatrist. “We follow the dosage that Dr Nagareddy prescribes. He is very particular that we take the meds on time, and makes sure that we follow it (the regimen) with care,” Gangaraju said.